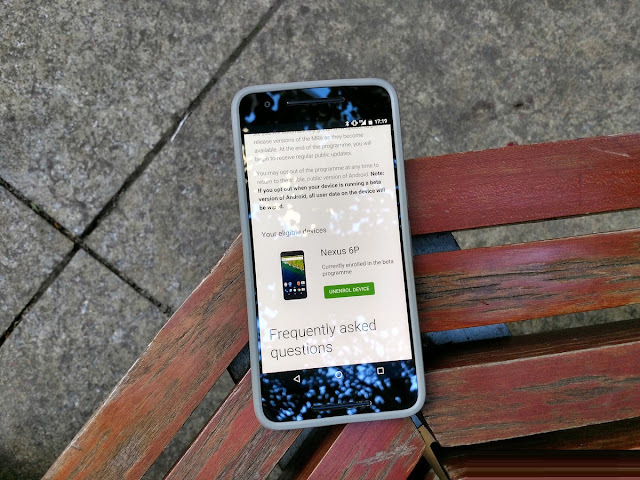 How to get Android 7.0 Nougat on your Nexus Phone right now? Android 7.0 Nougat is officially available for the Nexus 6, Nexus 5X, Nexus 6P, Nexus 9, Nexus Player and Pixel C (and the General Mobile 4G Android One), but your phone may not get the OTA (over-the-air) update for another couple of weeks. If you don't have a Nexus, you can get a feel for when (or if) your phone will get Nougat based on our expectations. If you know your way around a command line, you can skip the waiting game by downloading the factory image for your particular device and flashing it on top of your software. But there are some caveats you need to know about when flashing a factory image, so read on to find out what you need to know. Another way to get Android 7.0 Nougat right now is by opting into the Android Beta program, which has been extended beyond the initial release of Nougat. That is because Google has announced that it will continue offering preview versions of Nougat as it prepares the first of its Maintenance Releases, which is expected later this fall. Devices that are currently enrolled in the Beta program are the first to receive the stable version of Android 7.0, and the opt-in process is fairly easy. Head to Android Beta programme portal on your Nexus phone or Pixel C tablet. Find the device you want to enrol in the Beta programme and tap Enrol device. Note: This portion is performed on your computer. The first thing you need to know about flashing a factory image on top of your Nexus phone is that you need to have a portion of Android SDK installed on your computer. Specifically, you need adb and fastboot, which you can download from the Android Studio portal. Note: This portion is performed on your device. Go to your Nexus' Settings. If done correctly, this will be everything you will need to do on your phone or tablet for the moment. After this, you need to unlock your phone's bootloader. Note: This portion is performed on your device and computer . Note: The Android 7.0 factory images are not yet available, but these steps will apply when they go live. This portion is performed on your computer. Once you flash the Android 7.0 Nougat factory image onto your Nexus phone, you should reboot into the operating system. Depending on whether you unlocked your bootloader (and wiped your phone in the process), or kept your data intact by flashing the images manually, Nougat should look considerably different to Marshmallow. Now you have to learn what's new in Nougat.